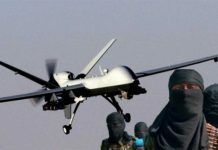 To support the Federal Government of Somalia’s continued efforts to degrade al-Shabaab, U.S. forces conducted an airstrike near a terrorist encampment location in the vicinity of Shebeeley, Hiran Region, Somalia, on January 30, 2019. This precision airstrike is part of a larger effort to support the Somali National Army (SNA) as it increases pressure on the terrorist network and its recruiting efforts in the region. 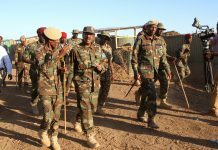 The SNA and its partners will continue to effectively target terrorist training camps and assessed safe havens in order to deny al-Shabaab the ability to build capacity and attack the people of Somalia. 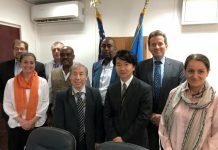 In particular, the group uses portions of southern and central Somalia to plot and direct terror attacks, steal humanitarian aid, extort the local populace to fund its operations, and shelter radical terrorists. U.S. Africa Command currently assesses this airstrike killed twenty-four militants. At this time, it was assessed no civilians were injured or killed in this airstrike.